Daredevil Season Three Is A Triumph! 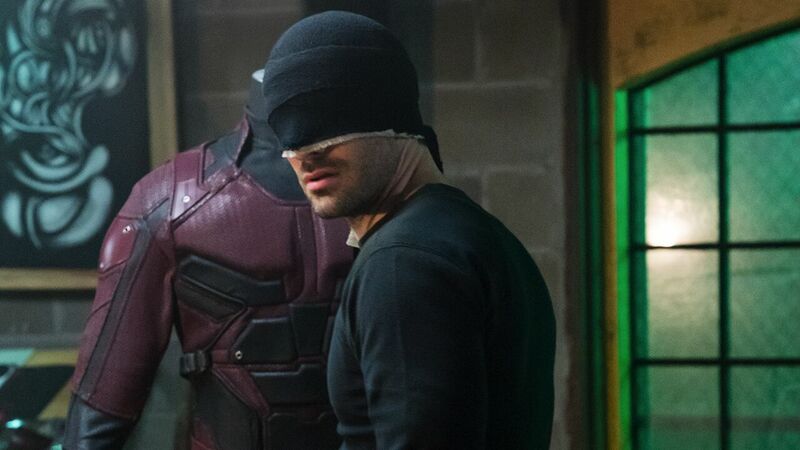 When Netflix dropped the third season of Daredevil a few weeks ago, viewers witnessed why Daredevil is the best of the Marvel Netflix shows. As the first of these streaming shows, Daredevil was an immediate hit with critics and fans, although it faltered in its second season. Then following the missteps of other Marvel Netflix shows, many doubted the quality of them, including Daredevil. Fortunately, the third season of the Marvel superhero show re-affirmed our faith with a triumphant season. 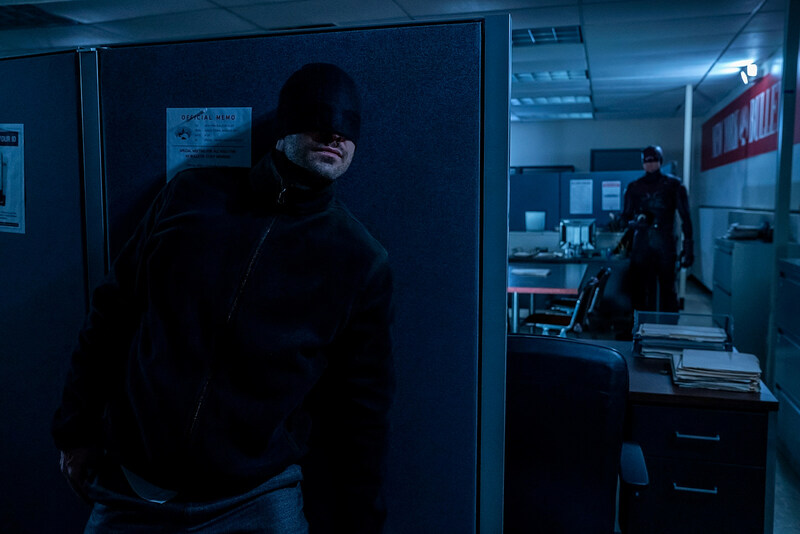 The third season takes place after the events of The Defenders where Daredevil/Matt Murdock (Charlie Cox), the blind superhero with enhanced senses, was presumed dead. He barely survived and is in the care of Sister Maggie Grace (Joanne Whalley) in the church where he grew up. 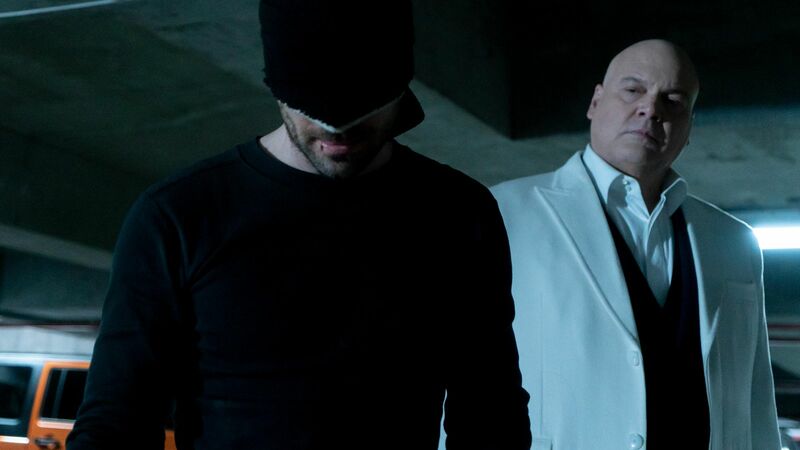 As he recovers, the notorious crime boss, Wilson Fisk/Kingpin (Vincent D’Onofrio), is in prison thanks to Daredevil and carries out a complex scheme to get out of prison and manipulating members of the FBI to serve him as he re-enters public life. Part of the scheme includes destroying Daredevil’s reputation by having an impersonator murder people in cold blood. While this goes on, Matt goes through a crisis of self and faith as he struggles with his ideals when dealing with Fisk and his lackeys. One of them happens to be FBI Agent Ben Poindexter (Wilson Bethel), a deeply disturbed man with a supernaturally deadly aim. Fans know that this is the villain Bullseye and he is more than a match for Daredevil. He is so deadly with his skills that he defeats our hero on more than one occasion, and these fight scenes were actually terrifying to watch with their brutality. Speaking of fight scenes, the third season of Daredevil continues the tradition of presenting “one-take” fight scenes that are so memorable and the one shown in the fourth episode (“Blindsided”) does not disappoint fight fans. In fact, the fight scene, which takes place in a prison, probably tops these scenes with its elaborate and long nature. It features savage fisticuffs, lines of dialogue and a well-choreographed riot scene that all lasts over ten minutes! One has to wonder with the intensity of these fight scenes why it is so difficult for the other Marvel Netflix shows to match the ones featured in Daredevil. On the other hand, other episodes pack emotional punches and are haunting character studies. 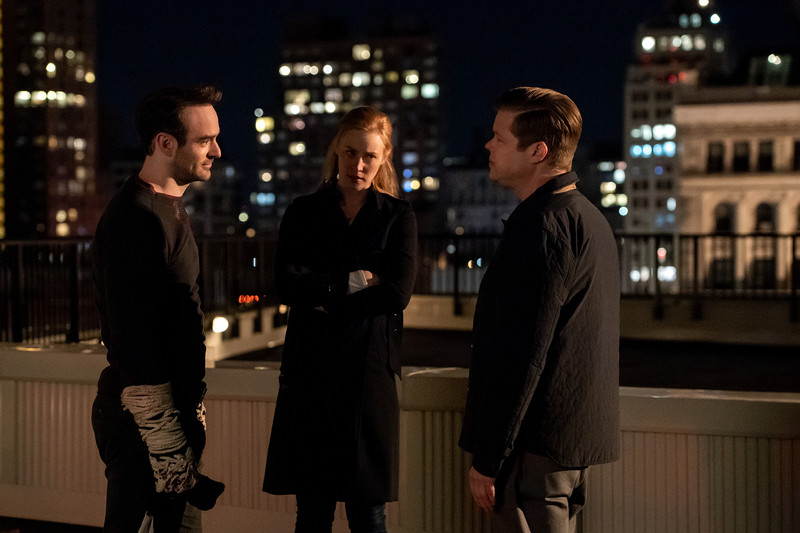 One of them, “Karen” explores the back story of Karen Page (Deborah Ann Woll) and it features some powerful acting by Woll as we learn she is not the innocent person Matt and his buddy Foggy Nelson (Elden Henson) believe her to be. There are several surprising twists and revelations. Some are inspired by the comic books while others keep us guessing. We’re never sure who will live or die and its often unexpected and tragic. What makes Daredevil such a triumph is that it focuses on characters, which are perfectly played by topnotch talent. Cox, D’Onofrio and Bethel are the standouts in the stellar cast as they exude raging demons within them and we see how each of the three grapple with their inner turmoil. Charlie Cox continues to sell his Matt Murdock as a decent, tortured man who is pushed to the edge and has to find a way to center himself. Meanwhile, Vincent D’Onofrio’s Kingpin (called by that name for the first time in this Marvel Netflix show) is a terrifying monster who is barely able to control his inner fury. There are some wincing moments when he lets his volcanic temper explode which you can’t help but watch. Bethel’s Poindexter is a true psychotic but great pains are taken to show what led this FBI agent to fall from grace. There is a new character who has an impressive arc. That being FBI Agent Ray Nadeem (Jay Ali), an honorable man who is tragically ensnared in Wilson Fisk’s complex web. The season may come off a bit slow in the first couple of episodes but after having seen the entirety of Daredevil season three it is clear that the quieter pace of the early episodes were needed to set up the characters and situations. The payoff starts fairly soon and it is worth the wait. 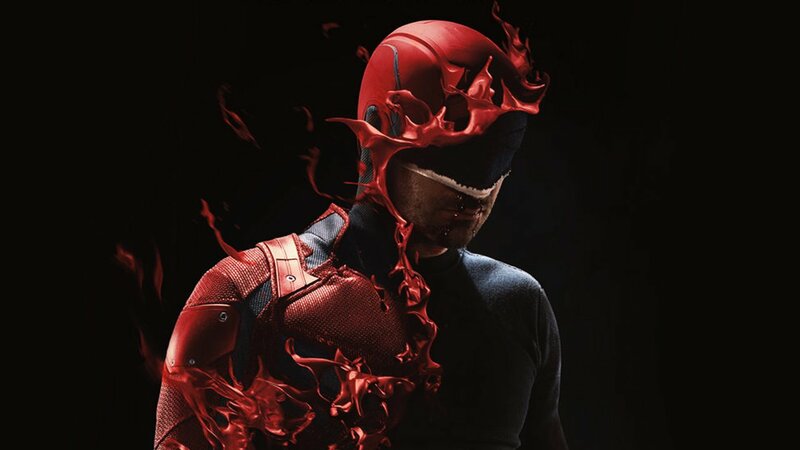 Daredevil season three proves that not only is it the best of the Marvel Netflix shows but the best superhero TV show out right now. It would be a shame if Netflix were to cancel it given the recent uncertainty of the Marvel Netflix shows. The showrunners were hoping to have the show run five seasons and there is plenty of story left to tell with the Devil of Hell’s Kitchen. Besides without not given too much away, it would be nice to see Matt don the red suit again. Agree on all points. And yes, there should be a S04! I can understand why Iron Fist and Luke Cage got the ax, but Daredevil? Unfortunately it looks like Netflix wants to get rid of anything related to their upcoming competition. But maybe Daredevil will hang on since it’s so well received. We’ll have to wait, see and hope. Awesome review as always and couldn’t agree more, the word triumph is more than apt! I was a DD fan from the comics and the Netflix show is a perfect adaptation and as you point out, the best of the Netflix shows (and yes, THE best comic book tv show)…there HAS to be a season 4. Here’s hoping that all the positive buzz and feedback will help create at least a fourth season because I’d love to see more of Bullseye. There are many more stories and ideas that can be explored. At this point the show is hitting its stride in terms of acting, scripts etc. We demand more Datedevil! Ha ha!